Forget the conventional idea of a bank. At Capital One®, we’re re-imaging money and the way people interact with it. We need curious, creative and passionate people who want to transform an industry that’s ripe for change. Leverage data and human insights to design cutting-edge technologies; apply your analytical expertise to influence business strategy; or harness your exceptional communication skills to offer unmatched, personalized service. What’s the banking experience of the future look like? Join us. 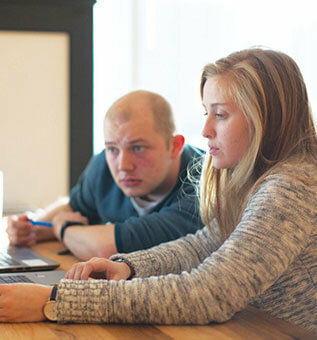 Find below our many opportunities for university students and recent grads. Jumpstart your career with Capital One. 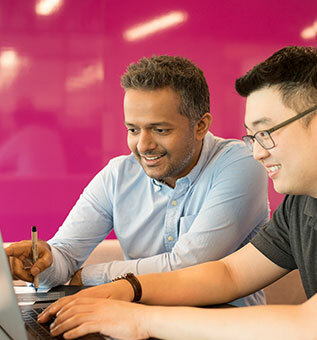 We know that the way to attract top talent is to create a fun work environment that fosters learning and career development, which is why we’ve developed our Analyst Development Program. Our new analysts take part in training both in Canada and the US--hands-on learning through activities like case competitions, social activities, and more. Melissa did her Bachelor of Arts with a major in Financial Mathematics and a minor in Economics. She was also a volunteer math tutor. At Capital One, her first role was on our valuations team where she used historical data to model customer credit card behaviour. Becca did her Bachelor of Commerce with a major in Marketing. She also competed in case competitions across Canada and internationally. At Capital One, her first role was on our digital analytics team, optimizing our website experience for different customer segments. The Finance Rotation Program will help you launch an exciting and challenging career at Capital One. 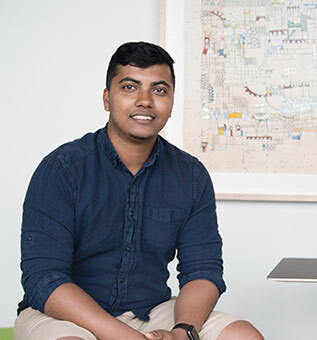 During your two years in this highly selective Program - you’ll rotate through at least two distinct roles, gain a wealth of experience, and be exposed to strategy development and business execution in corporate Finance and Accounting. Associates in the Finance Rotation Program take part in comprehensive training offered through our award-winning Capital One University. You’ll also receive ongoing mentoring and development advising from seasoned leaders in the Finance organization who will be there to help you excel in your career. To succeed requires rigorous logical thinking, insatiable curiosity, adaptability, and exceptional teamwork. 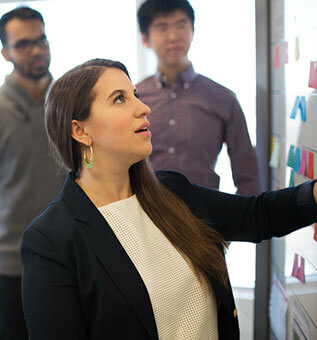 As a Capital One® Data Scientist, you will be at the intersection of business strategy, mathematics, and technology. Our Process Manager Development program provides structured training, a diverse set of experiences, rotations allowing for exposure to different business areas, leadership opportunities and much more. The Process Manager applies their skills to the design, management, and optimization of business processes. You will work with extended teams across the enterprise and supply chain structure to ensure that the bank’s business processes are performing optimally and that business strategies are implemented within quality, time and cost goals. As the pioneers of analytics in the financial industry, we are a company that thrives on data driven strategy. To succeed requires insatiable curiosity, passion in programming, and exceptional teamwork. As a Capital One® Data Engineer you will be at the intersection of business strategy, mathematics, and technology. Do you think about writing beautiful code while eating breakfast? Do you build applications you are proud of and want to tell your friends about? Do you get excited about scaling applications to millions of users? This is an opportunity to learn more about your craft and how large scale reliable applications impact the way that Capital One does business. In this role, you will have the opportunity to take real ownership of your project, be genuinely challenged by your work, and show your creativity in problem-solving while delighting customers with a fantastic digital experience. You will be an integral part in advancing the culture of technical excellence within Capital One, and creating experiences to delight millions of customers! Please contact careers@capitalone.com if you have any questions related to recruitment at Capital One. 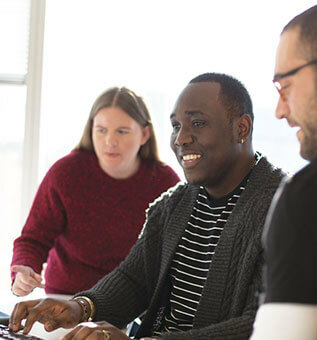 Visit the Capital One Career Site for a full list of available positions. We have our Canadian headquarters in downtown Toronto, across from Union Station. We also have a Data Science Lab located in Kitchener-Waterloo.